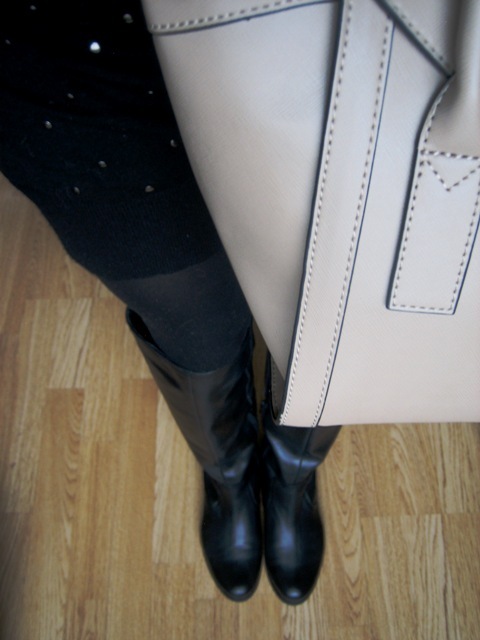 Today my choice was studded dress. As you know studded dress is in top this season, there are varieties of it - sleeveless, 3/4 sleeves, knitted, leather, with cut outs, in different colors, every-day, party ones, etc... 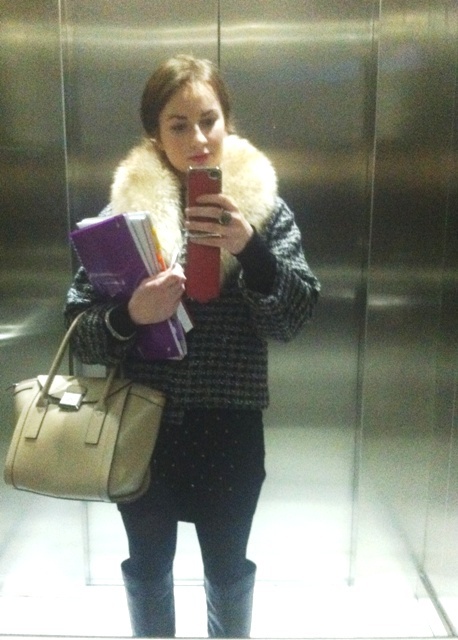 Mine is knitted with long sleeves, best choice for autumn/winter period. 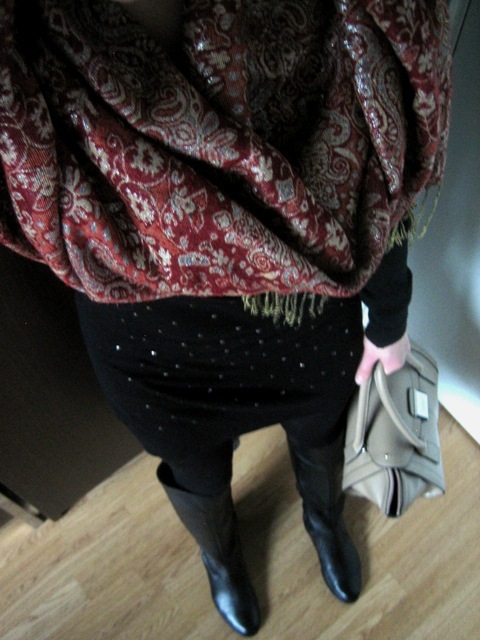 So I combined studded dress with black tights, knee-high leather boots and shawl in oriental style. 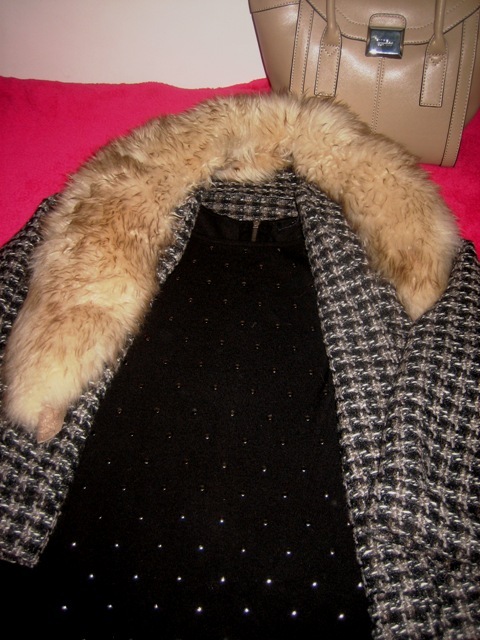 And tweeded coat with fur collar. Nothing much in make-up, main accent on lips achieved with pinkish lipgloss.